The Mike Harris Learning Library?? 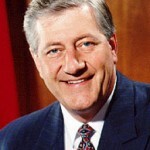 The Anishnabek of Eastern Ontario are supporting opposition by some students to Nipissing University’s plans to name a new library after the province’s former premier, Mike Harris. Nipissing is slated to get $15-million for that library thanks to the generosity of businessman Seymour Schulich. 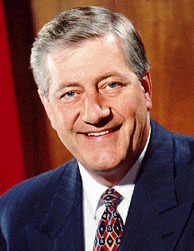 North Bay is in the riding of the former premier. Heavily armed Ontario Provincial Police (OPP) teams moved in shortly after upon an unarmed group peacefully occupying Ipperwash Provincial Park. The attack turned violent. Anishnabe Dudley George was shot and killed. A grad from North Bay Teacher College, Harris brought in testing of both students and teachers in the province, reduced the powers of local school boards, and provoked the largest teacher strike in Ontario history.